Kylie Jenner has tackled Throwback Thursday with a photo of herself from just a few months ago. 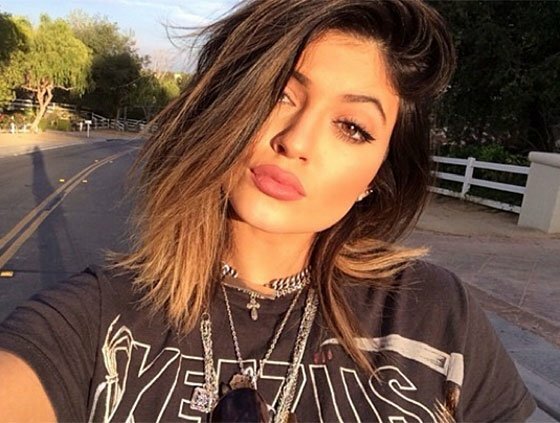 “Throwback to when I was 15 pounds skinnier & had a little blonde goin on,” Kylie Jenner wrote alongside a snapshot of her pumping gas for her Mercedes SUV in leather leggings and a baggy white T-shirt. Kylie Jenner was seen running errands in her PacSun line, showing off her killer figure and toned abs. The reality star also seemed to be sporting long locks for her day out, considering that just weeks ago her hair was above her shoulders. During a recent interview with Fault magazine issue 20, Kylie Jenner opened up about how the limelight has affected her and the way she lives her life in the public eye. “I never feel pressure to be a good role model,” Kylie Jenner told the magazine.